One of the wonderful things about being a Close To My Heart consultant is the opportunity to get to meet other people (virtually or IRL) who love paper crafting. An even better thing is getting to make real friends with some of them. One such person, I met the summer before last at CTMH's annual convention. That particular summer the Convention was held in Anaheim, California. There I met a crazy-talented and funny lady named Tamra Pope. Come to find out, she only lived 20 minutes from me! Who knew?! She's become one of my best friends ever since. Must be at least 8 layers. Must use at least two coordinating winter-themed Cricut images. Must NOT have any holiday sentiments at all. 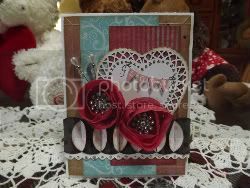 Create the card with a general theme, using winter images. Do NOT use red, green or blue. Must use at least one background stamp set or make your own background with multiple stamp sets. Must have at least two embellishments. Pretty tricky, huh? 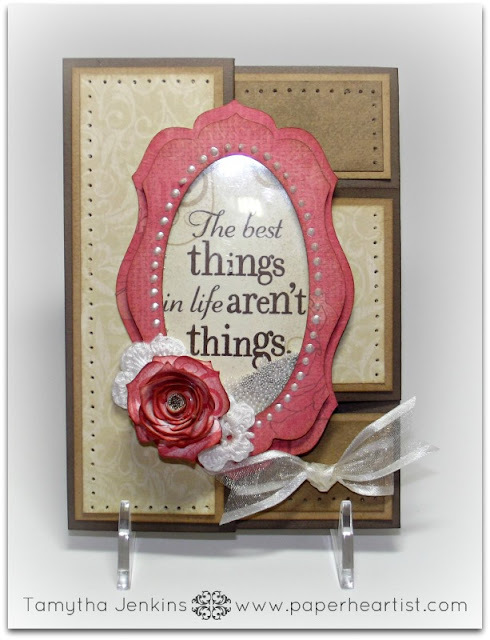 If you want to see the rest of the cards, check out Tamra's post here. Taking a look back over the last four swaps, here are my contributions. You may recall this final card from this post. The cards that I mailed did not have the sentiment. I left that blank so that the recipient could customize the card as they desired. 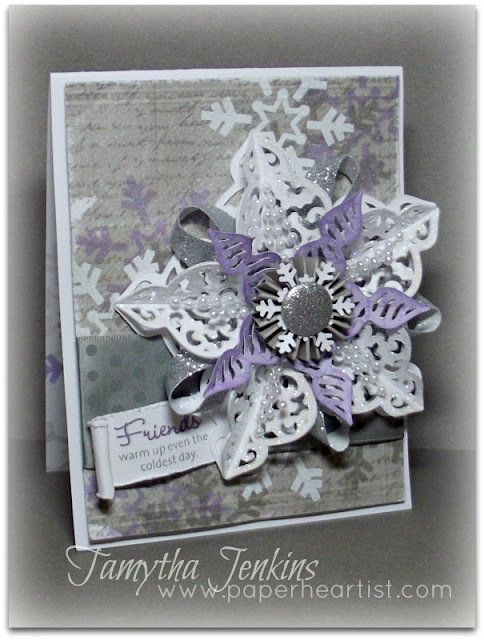 However, I added the sentiment before submitting this to the H2H challenge blog for my DT project and the Frosted Designs: Card Sketch. Speaking of Frosted Designs, I received an email yesterday that my card was selected as their winner for the week! Totally exciting! Finally, before I sign off, yesterday I saw a YouTube video that was essentially just pictures of a mini-album and music. I thought it was pretty cool and took to figuring out how it was done. Here's my first attempt at something similar. I hope you'll tell me what you think. This was really pretty.. the card to music! 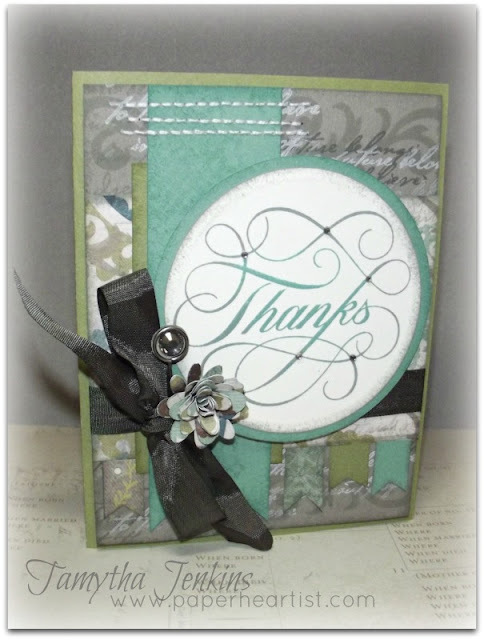 I loved the song and such a pretty card... love the closeups... just a neat effect overall! Oh my wacky friend....It was truly a pleasure having you in the swap group. Your cards were always over the top and worth the wait, lol.